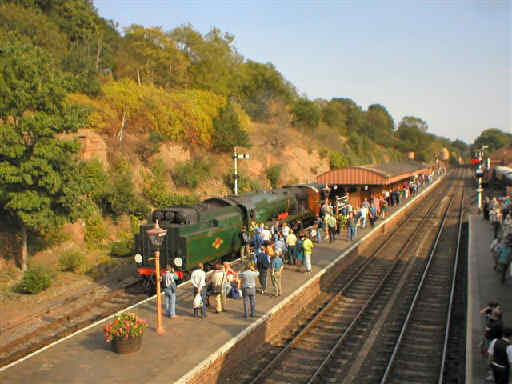 I haven't visited the Severn Valley Railway for some years but friends of the site have sent me these photos, the first selection were sent in by Paul Pearson who also supplied the captions. 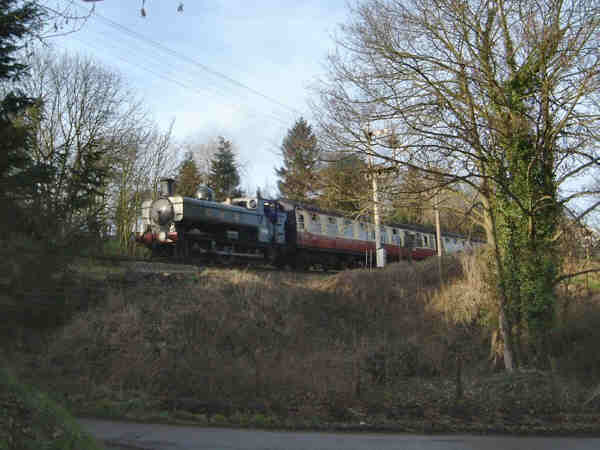 WR 15XX Class 0-6-0PT Hawksworth O/C Pannier, passing Trimpley reservoirs. 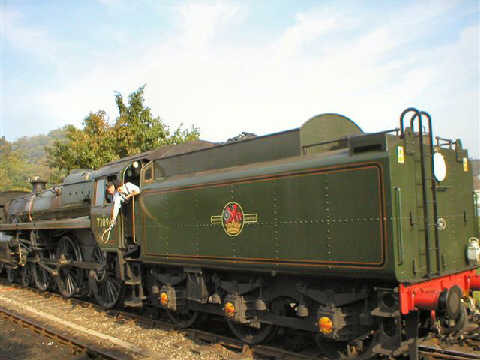 Pulling LNER teak set. 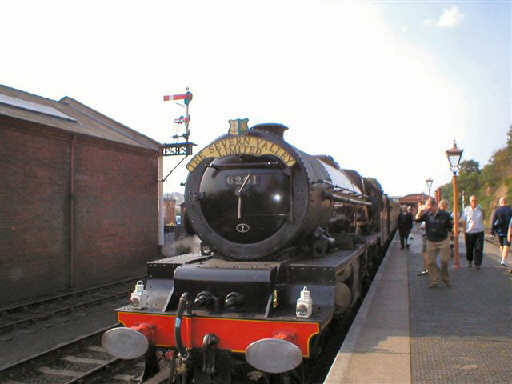 The Pannier again 7714, sat in Arley station (home of Malcolm the cat. 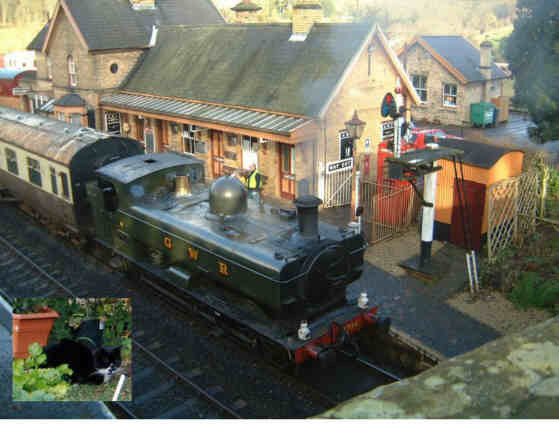 inset) My favourite station, and one of my favourite cats. They do wonderful tea in the tea shop behind the station buildings, which I look forward to greatly during long summer walks along the river. 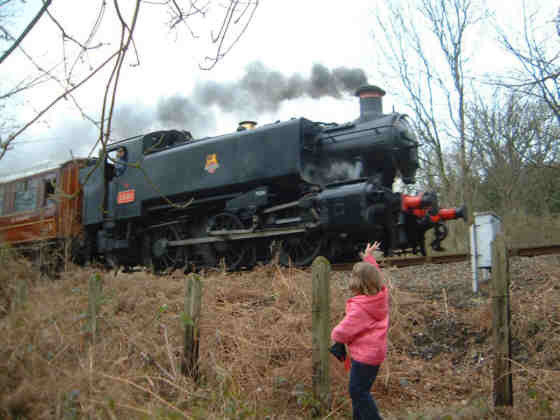 GWR "Manor" Class 4-6-0 Collett 7802 Bradley Manor, passing Northwood Halt with coach loads of kids on one of 2002's Santa Special days. The driver was sporting a fine Rudolph hat which is not visible in the shot, but was worthy of mention. 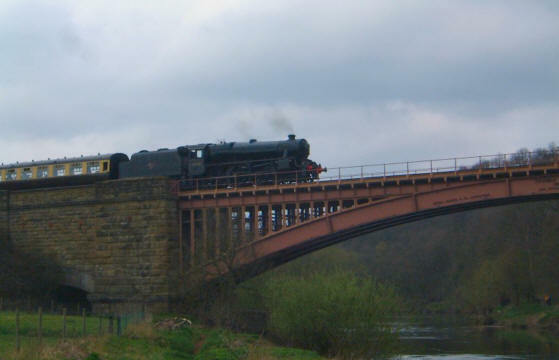 45110 LMSR Stanier 5MT 4-6-0, with GWR set, approaching Victoria Bridge, just south of Arley. 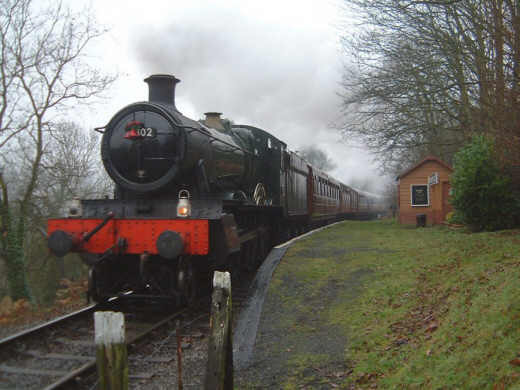 46443 LM Ivatt 2MT 2-6-0, on the approach to Hampton Loade Station, at the waterworks private level crossing. A cool winters morning, January 2003. 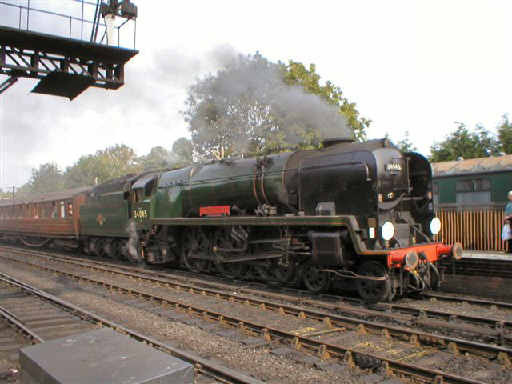 The next batch were taken by Rodney Greenway at their Gala in spetember 2003. 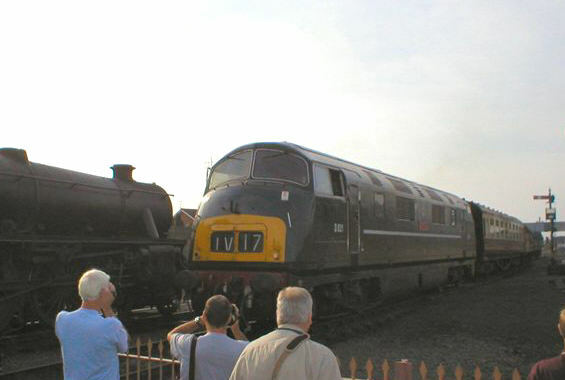 The only diesel to feature is D821 Greyhound, a Swindon built class 42 Warship. 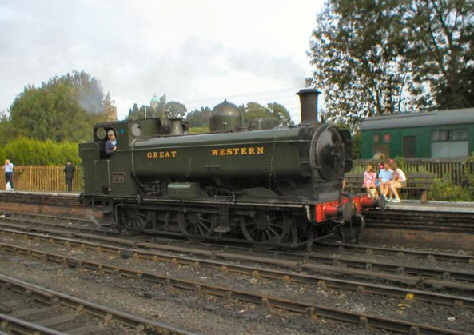 Ex GW 57xx pannier tank 5764, seen on these pages at the West Somerset's Spring Steam Gala is seen here back home on the Severn Valley. 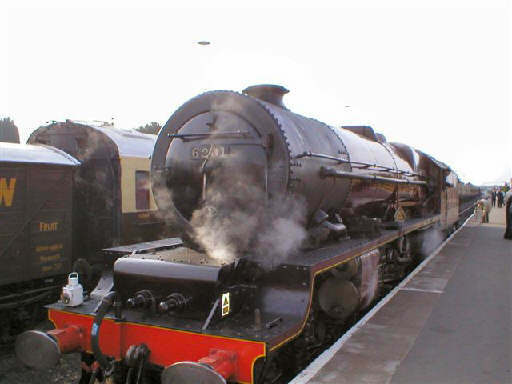 7802 Bradley Manor had also been away, in her case working the Torbay Express series of specials from Bristol to Kingswear. 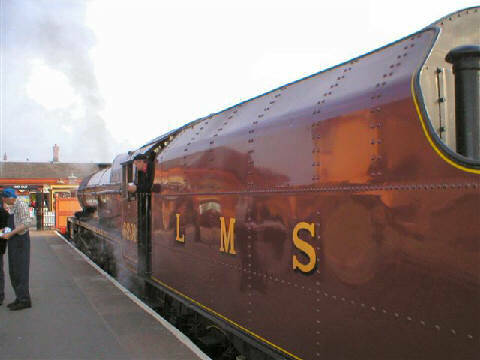 A visitor, 6201 Princess Elizabeth an ex LMS Princess Royal class pacific. 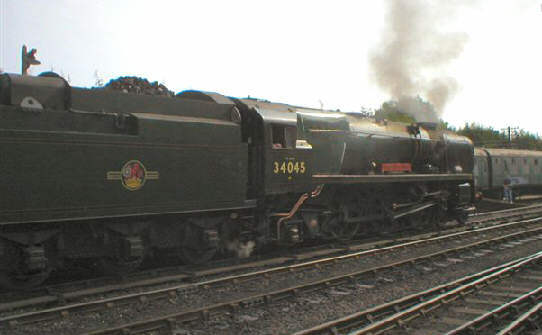 Another pacific, this is ex Southern Railway West Country Class 34045 Ottery St Mary. 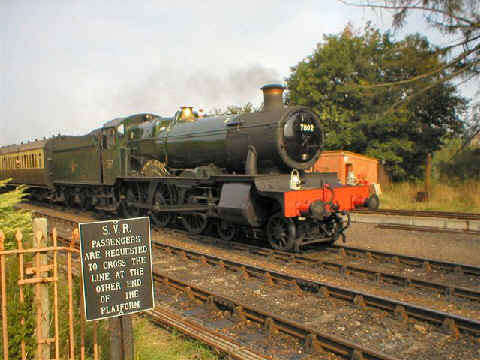 Another visitor, BR Standard 5MT 4-6-0 73096. Photos not otherwise credited are ©2001/2002/2003 S G J Huddy. Other photos are included with permission of the copyright holders.